Kangaroo Creek Furniture operate out of the Wombat Forest in Victoria’s Central Highlands. The timber they use in their furniture has ‘lived’ before in such structures as stock yards, staircases, building frames and bridges. As some of these could be over a hundred years old, the timber can be of a size, species and quality that is almost impossible to obtain now. The respect they have for these pieces of history shows in our finished product. By re-using this rare resource, Kangaroo Creek Furniture create a striking, environmentally-friendly, item for you to treasure in your home. A simple logo to be used also as a stamp for the timber was created. The feel of the identity was to be contemporary, rustic and environmentally friendly. 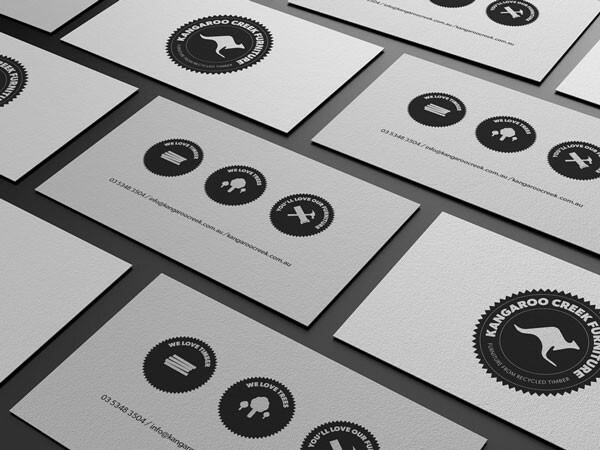 Simple stationery was created for a business card, and price tags. 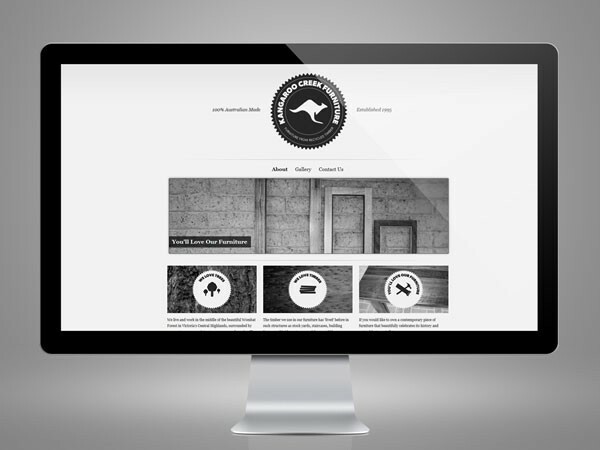 A website was developed featuring a gallery of Kangaroo Creek’s finest works.